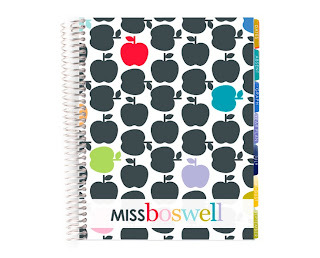 This planner is basically the Lexus of teacher planners. It has it all and more. Including TABS and checklists, in addition to colored lesson plan spaces. And (gasp!) it even has a two page spread of each month at a glance! Perhaps my favorite thing of all it includes sheet protectors (made in) ... this is what I've been dreaming about in the teacher planner world. I got giddy from watching the 9 minute video demoing the planner. Who does that? You can check out more of the planners and stationary at ErinCondren.com. (And watch the video!). It's definitely not frugal - but it sure is fabulous! Shoe string lesson: Sometimes, you just have to splurge on something you really want whether it be new shoes or a 2013 Teacher planner.